A couple of weeks ago Ed and I headed over to the Hollywood Bowl at Branksome with the children for a game of bowling and some food. The venue has recently undergone a refurbishment and rebrand and I was really impressed with how much they have in what is arguably a fairly small venue. We usually go to the bigger local venue in the Tower Park leisure complex, but will definitely be returning to the Branksome venue again as it is nearer to us and less crowded. We were greeted by manager Paula, who was so lovely and welcoming. She helped the children set up our lane and then introduced us to the rest of her team who would be looking after us for the evening. It was a lovely touch, and not something we always experience on review visits, so was much appreciated. We had Benjamin with us, who can’t really bowl that well but he ended up taking my turns and he loved pushing the bowling balls down the lanes. Carly was in her element and she came close to beating Ed at one point, scoring not one but two strikes and getting stickers from a team member as a result. During our game, we ordered some drinks, which were brought to our lane. You can also choose to order food to the lane as well, if you’d like. The children had slush puppies, always a firm favourite when visiting Hollywood Bowl, and I went for a cocktail as I couldn’t resist trying one topped with mini marshmallows. After our game, we headed over to the diner area, where a booth had been reserved for us. We settled down and ordered some dinner for us and the kids. Ed went for the ultimate burger, which was massive! I had a hotdog – there are lots of choices when it comes to toppings, and the halloumi as a side. The children were really pleased with their kids meals – there was lots of variety, which is always good when you have fussy eaters. As well as the bowling alley and diner, there are pool tables and an arcade. They even have a special area for parties, which the kids thought looked really cool. Speaking to Paula, lots of league teams use the alley, and we noticed this whilst we were there, but there is plenty of room for everyone and I really liked the slower pace compared to the bigger Tower Park venue. Like I say, we will definitely be back and would recommend a visit to locals and tourists alike if you are looking for somewhere to go with the kids. 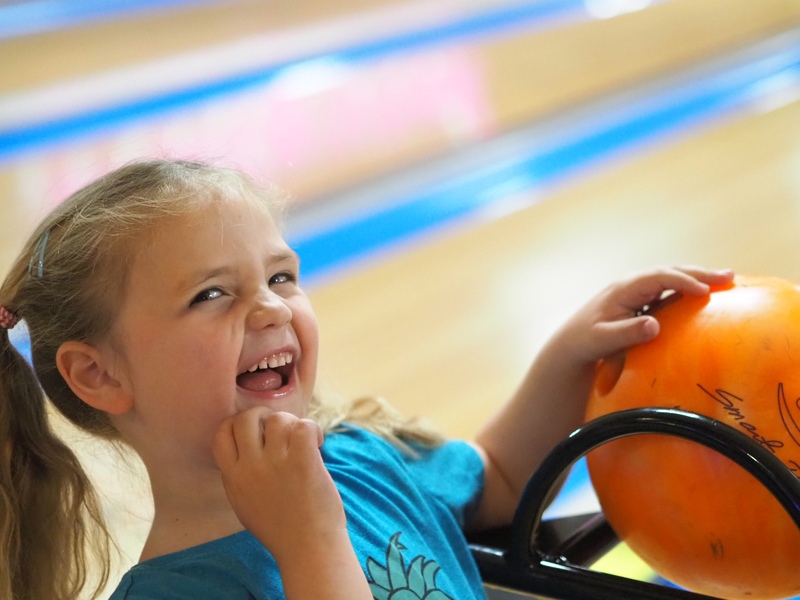 We were invited along by Hollywood Bowl and provided with a complimentary game of bowling, food and drink for the purpose of this post, however all words and images are my own.